October 2018 – Despite the dogmatic reactions from the politically orthodox, Aziz Abu Sarah’s aborted mayoral bid is the latest manifestation of the Palestinian struggle’s shift towards a civil-rights movement. Bad blood or blood libel: When is criticism of Israel anti-Semitic? September 2018 – While critics of Israel can be anti-Semitic, many who criticise Israel harbour a deep respect of and love for Jews. Similarly, supporting the Jewish state is not necessarily a manifestation of philo-Semitism and can stem from anti-Semitic motives. Did Obama navigate Israeli-Palestinian negotiations without a map? July 2018 – The Obama administration was reportedly unaware of the true extent of Israeli settlement activity. This reveals either a monumental level of ignorance or a post-facto attempt to justify the failure of the Kerry peace initiative. May 2018 – The problem is not the new US embassy in Jerusalem. The problem is the reality which surrounds and underpins it. December 2017 – A visit by an Israeli Jewish blogger to some of Islam’s holiest sites has stirred up controversy and anger. But should it have? December 2017 – In their reactions to Donald Trump’s hypocritical Jerusalem declaration, many Arab and Muslims leaders have exhibited their own grotesque double standards. December 2017 – Donald Trump’s announcement on Jerusalem changes nothing on the ground but everything on the horizon. It is the final death certificate of the peace process. Now it’s time for something completely different. November 2016 – We need to reach a future in which the religious freedom of Muslims who wish to hear the call to prayer does not infringe upon the peace of mind of non-Muslims and non-practising Muslims. October 2016 – Although violence is all too often the path of least resistance, Israelis and Palestinians urgently need to navigate a peaceful path out of the quagmire. October 2016 – The Israeli government fears and combats peace and rights activists with greater gusto and urgency than armed extremists. September 2016 – Like the Berlin Wall and other political barriers, the Israeli wall has witnessed an explosion of protest art on its concrete canvas. August 2016 – Poetry and song talk of soaring free as a bird, but the heavens are where hell resides. People talk of taking wing, but, me, I’d rather take fin, be free as a fish. August 2016 – As the Israeli Knesset declares war on its Palestinian members, Ayman Odeh believes the only way forward is through a joint Arab-Jewish struggle. June 2016 – The appointment of Avigdor Lieberman as Israel’s defence minister is like the plot of a nihlistic black comedy. March 2016 – Mizrahi Jews are reviving the Arabic music of their heritage and fusing it with new influences, which is proving popular with young Palestinians. March 2016 – A new Palestinian film fictionalises the plight of female Palestinian prisoners of conscience in Israel: from hunger-striking to child birth. January 2016 – The changing depiction of women in Palestinian political art reflects the shifting perceptions of their role and position in society. January 2016 – Netanyahu must dismantle the six states within a state Israel has created and grant every Arab and Jew full equality. December 2015 – The shock elicited by Palestinian women taking up arms is due to local sexism and orientalist stereotyping, not historical or social reality. November 2015 – Netanyahu’s allegation that the mufti masterminded the Holocaust mark a troubling escalation in the Nazification of the Israeli-Palestinian war of words. October 2015 – Despite the proven futility of blood-letting for both Israelis and Palestinians, violence is exercising an irresistible magnetic force. September 2015 – For Muslims and Jews to share peacefully and justly the Holy Sanctuary/Temple Mount requires the resolution of the Israeli-Palestinian conflict. September 2015 – With all the wars and conflicts raging in the Middle East, collective trauma carries very serious consequences for the region. September 2015 – Despite what religious fanatics believe, the Israeli-Palestinian conflict is not a “holy war” – far from it. August 2015 – Gaza’s devastated infrastructure and fuel shortages cause avoidable deaths. A crowd-funded initiative will save lives with solar power in hospitals. August 2015 – The rise in violent Jewish extremism shows how safeguarding justice only for a minority is leading to a situation of injustice for the majority. July 2015 – Hunger striking in prison taught Sulaiman Khatib a lot about his body, his mind and the importance of peaceful, non-violent activism. July 2015 – Although the Israeli siege of Gaza hurts more materially, the Egyptian blockade is more painful emotionally. It is also counterproductive. July 2015 – With rubble Gaza’s only growth industry, people are unable to pick up the pieces of their broken lives, face psychological ruin and dream of escape. July 2015 – Despite outlandish conspiracy theories, a Ramadan TV drama about Egypt’s lost Jewish community is not a missive to Israel but an ode to pluralism. July 2015 – It is not just the landscape that is scarred and devastated, Gaza is an emotional and mental wreck teetering on the verge of psychological ruin. June 2015 – The most delicious way to a society’s soul is through its stomach, believes the creator of Palestine on a Plate. May 2015 – Living with disability is always a challenge but if you’re a Palestinian living under Israeli occupation you are doubly handicapped. March 2015 – For Palestinians in Israel, the recent race for the Knesset was both the worst of elections and the best. March 2015 – When Netanyahu’s election victory was declared, rather than grieve, Arabs in Israel were out on the streets celebrating. March 2015 – Active and effective Arab political participation in the next Knesset can be a game changer, shifting the Palestinian struggle towards civil rights. February 2015 – An electoral campaign video targeted at Israel’s “invisible” poor unwittingly highlights the long-neglected links between Mizrahi Jews and Arabs. Filmmakers are moving away from the headline conflict to shed light on real life in Palestine as lived by actual Palestinians, both real and fictional. November 2014 – How do you end the Israeli occupation without ending the occupation? Through a struggle for equal civil rights for Jews and Arabs. November 2014 – As I cycle amid the growing cycle of violence, I believe peaceful coexistence between Israelis and Palestinians is plausible and possible. The latest on Intimate Enemies, Khaled Diab’s book of the Palestinian and Israeli peoples, which explores the human lives behind the headline conflict. November 2014 – As tensions mount, it’s hard to believe that Israelis and Palestinians share a lot in common – even the dreams of their great writers. November 2014 – Ethnic profiling at Israel’s airport are not about state security but the insecurity of the state, and are an infringement of fundamental rights. August 2014 – Despite Egypt’s mediating role, it is no impartial broker on Gaza. It shares Israel’s view that Hamas can be crushed and suffocated into submission. July 2014 – Gaza and the West Bank are effectively on different planets. Connecting them must be part of any lasting solution and would make a world of difference. Palestinian resistance: The gun or the olive branch? July 2014 – The death and destruction inflicted by Israel’s assault on Gaza point to the futility of Palestinian armed resistance. Peaceful resistance is the way. July 2014 – Does the largest Palestinian protest in recent memory, along with weeks of unrest, indicate that the long-expected next intifada is here? July 2014 – In order bring a halt to the multiplying human tragedy in Gaza, the Arab League should convene an emergency summit there. July 2014 – The horrific murders of Israeli and Palestinian teens should drive home how violence is futile and burdens coming generations with future bloodshed. July 2014 – Protestants are the chosen people and Western Europe and America their Promised Lands, according to Israelism and Christian Zionism. June 2014 – The power of Palestinian literature lies in its ability to make a word of difference, gradually shifting perceptions and, through them, reality. May 2048 – A century after war broke out, jubilant Israeli and Palestinian crowds celebrate each other’s independence as they march hand-in-hand into the future. April 2014 – Gaza’s humanitarian disaster and the rising tensions there are forgotten by the world. Principle and pragmatism demand an end to the blockade. Al-Aqsa/Temple Mount: Ground zero or common ground? March 2014 – Jerusalem’s holiest site is again provoking tension and controversy. But could it also bridge the chasm between Israelis and Palestinians? March 2014 – Despite what some in the Knesset think, Christians in Israel are Arabs too and have been prominent in Palestinian politics, society and culture. March 2014 – The outside world primarily see Palestinians as two-dimensional heroes or villains. A new generation of artists and writers is adding a vital third dimension, the human. Can the boycott against Israel succeed… and how? February 2014 – The furore surrounding Scarlett Johansson’s SodaStream endorsement raises the question to what extent BDS can help end the occupation… and how. January 2014 – As John Kerry’s efforts appear doomed, Palestinian and Israeli peace activists are left with an impossible challenge: peace how? Ask the people. December 2013 – Although I wish there were a Palestinian Nelson, I suspect that Israel-Palestine is not ready for someone like him… not yet, at least. December 2013 – Palestinians and Israelis don’t need more US diplomacy but a people’s peace process… and this requires mutual understanding and humanisation. November 2013 – In Israel-Palestine, a peace without the people has left two peoples without peace. That’s why I’m writing a book about these most intimate of enemies. October 2013 – On the 40th anniversary of the 1973 war, Egyptians and Israelis still cannot agree on the conflict’s name, date or outcome. August 2013 – Why is Israel, despite being a minor player, is seen by so many Egyptians and others in the region as the master puppeteer behind the crisis in Egypt? July 2013 – Can the skin-deep world of the Miss Israel beauty pageant help combat the ugly face of discrimination and prejudice against Palestinians in Israel? May 2013 – By suggesting that Muhammad al-Durrah’s death was staged, Israel’s government may not be the victim of a ‘blood libel’ but the originator of one. March 2013 – Barack Obama’s plan to “listen” when he visits Israel and Palestine is not enough, the US president must take act to launch a people’s peace process. February 2013- Despite its bottom ranking in the Press Freedom Index, the Middle Eastern media is freer than it appears at first sight. January 2013 – Despite their marginalisation or disenfranchisement in Israeli politics, Palestinians can use Israel’s democratic tools to their advantage. January 2013 – With Israel expected to elect its most right-wing government ever, what can progressive Arab and Jewish voters do to challenge the status quo? December 2012 – My time in Israel and Palestine, where everything is politics, has taught me that it is the human that is holy, not the land. December 2012 – While the world’s attention was turned to Gaza, stealthier military manoeuvres in the West Bank were pushing more Palestinians off their land. November 2012 – As the fog of war distort people’s vision and compassion, can Israeli and Palestinian reject the strategy of violence offered by their leaderships? October 2012 – Israel has squandered so many opportunities for peace that its very identity as a ‘Jewish state’ is in jeopardy. October 2012 – Israeli settlements are one of the greatest obstacles to peace, but could settlers also help build a Palestinian state? October 2012 – With the two-state solution relegated to the dustbin of history, the time has arrived to consider equal citizenship for Palestinians and Israelis. October 2012 – The targeted boycott of Israel should be complemented with Arab recognition of the Jewish state and grassroots engagement with ordinary Israelis. September 2012 – Israeli novelist Amos Oz believes that Jewish civilisation is founded on dissent and non-conformity, but how true is this? September 2012 – A joint trip to Jerusalem’s Holocaust Memorial provides Palestinians and Israelis with lessons in tragedy, pain and mutual respect. September 2012 – With their school slated for demolition, the children of Khan al-Ahmar wonder whether Israel believes that Bedouins do not deserve an education. September 2012 – Children are the innocent victims and future perpetrators of the Israeli-Palestinian conflict. For their sake, a political solution must be found. August 2012 – Is it possible for Israelis and Palestinians to find common refuge in their shared notions of exile and return? August 2012 – Even for a non-believing Egyptian, Ramadan in Jerusalem – where the three Abrahamic faiths coincide and oft collide – is a fascinating experience. August 2012 – The fog of war obscures the similar challenges facing women in Israel and Palestine and how the conflict hinders them from finding common cause. August 2012 – Sasson Somekh, critic and friend of the late Egyptian Nobel laureate Naguib Mahfouz, believes literature transcends politics and can bridge cultures. July 2012 – The creation of Israel sparked a revolution in Egypt, and Nasser, the legendary champion of the Arab cause, once sought peace with the Jewish state. July 2012 – Living behind the ‘Zion Curtain’ reveals how alike Israelis and Palestinians are and how ordinary people must build common ground on this shared land. June 2012 – Both humanity and self-interest should compel Israel to end its inhumane siege of Gaza. June 2012 – The world’s largest Arabic-language press archive is located in Israel. Should Arabs use it or boycott it? May 2012 – Palestinians understandably dream of return, but focusing on the right of return is standing in the way of other, more vital rights. May 2012 – Palestinians run the risk of forgetting the Nakba and there are those who do not wish us to remember it. But our future freedom depends on our memory. May 2012 – In part I of this Palestinian great-grandmother’s story, she tells of the tranquil Jerusalem in which she spent her youth until disaster struck. May 2012 – Palestinian reformer Mustafa Barghouti on the demise of the peace process, the death of the two-state option and the dawning of the Palestinian Spring. March 2012 – Africans in the Holy Land are challenging the whitewashing of their identities and are taking greater pride in their heritage. March 2012 – Young Palestinian activists are drawing inspiration from the civil rights movement, but are reluctant to redefine their struggle along similar lines. March 2012 – Bestselling Israeli historian Shlomo Sand identity politics, political despair, why Lieberman is right… and drowning sorrows with Mahmoud Darwish. February 2012 – Despite the ugly war of words between Israelis and Arabs, Israel does also get some good press in the Arab world and has some surprising admirers. February 2012 – Salama is young, unemployed and so cut off by Israeli settlements that he has almost nowhere to go and no friends to hang out with except his brother. February 2012 – Israelis and Palestinians travelling together without their political baggage can help pave the way to the mutual respect eventual peace requires. January 2012 – As Israeli-Palestinian peace talks fail again, it is time to build a New Canaan of diversity, tolerance and peace based on reimagined identities. January 2012 – Cyber attacks on Israel shock those who see Arabs as backward, but there are less hostile ways to hack away at mutual stereotypes. January 2012 – The banning of a Jewish festival this year in Egypt is wrong, both from a secular and religious perspective. 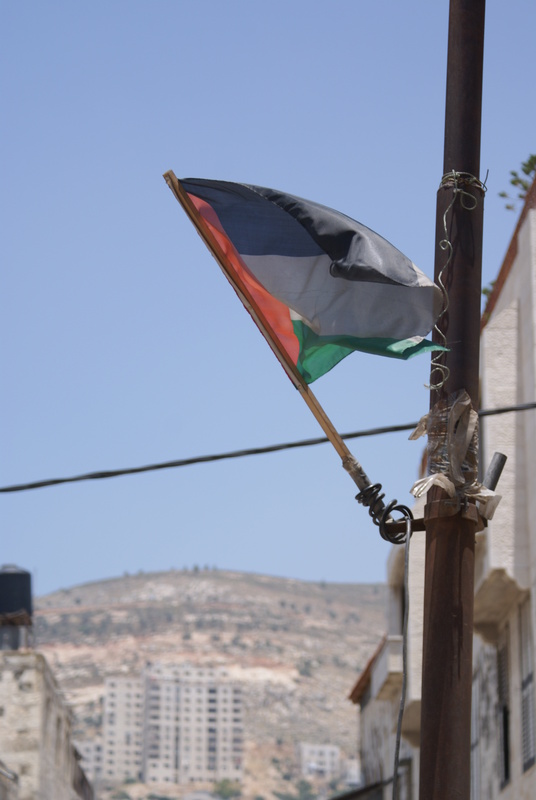 January 2012 – Outsiders are more likely to associate Palestine with statehood-pending than patent-pending, but innovation is crucial to building a better future. January 2012 – The settlers in Hebron are widely regarded as the enemies of peace. That’s why I, as an Egyptian, decided it was essential to get to know them. December 2011 – The Holy Land is where Christmas began. But with the relative decline of Christianity there, does the yuletide still retain its spirit? December 2011 – Following the successful Palestinian ‘freedom rides’, it’s time for Israeli ‘freedom riders’ to cross the barriers between the two peoples. December 2011 – Ahmadinejad and Netanyahu are so alike it is hard to tell them apart. The best way to neutralise them is through a nuclear weapons-free Middle East. November 2011 – Palestinian ‘freedom riders’ defiantly boarded a bus to Jerusalem. So is the next stop for the Palestinian struggle a mass civil rights movement? October 2011 – With the rise in Jewish fanaticism, Israelis are faced with a paradox: peace with the Palestinians could stoke conflict within their own ranks but avoiding full-blown civil war requires an end to the occupation. 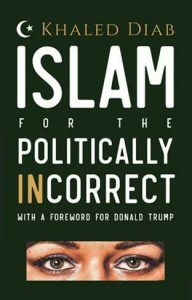 October 2011 – Although alcohol is ‘haraam’, Muslim societies have rarely managed to stay on the wagon, and vital parts of their culture have developed under the influence. October 2011 – Left-wing Israelis do not buy Netanyahu’s scare tactics and look forward to living side by side with an independent Palestine. September 2011 – As an Israeli and a Jew, Ramallah once seemed to be as distant as outer space. So joining the crowds celebrating the Palestinian UN bid was like a small step for a man but a giant leap for my mind. September 2011 – With the Palestinian bid to join the UN likely to get them nowhere, there is a more civil way out of the impasse that will give both Israelis and Palestinians what they want. September 2011 – As a rare Egyptian in Jerusalem, I have felt something akin to being a B-list celebrity. September 2011 – This special report features Palestinian, Israeli and other interested and knowledgeable voices who air their views on the significance and ramifications of the Palestinian quest to seek UN recognition. Egypt and Israel: cold peace or cold war? September 2011 – Relations between Israel and post-revolution Egypt are proving tetchy – but ordinary people hold the keys to peace. September 2011 – Recognising the good qualities of the other side can be a first step to healing Arab-Israeli wounds. August 2011 – Only self-hating Arabs and Jews can save the Middle East from itself. Egypt, Israel and Palestine: towards the promised land of peace? August 2011 – It is high time for Israelis and Palestinians – with grassroots support from Egyptians – to unlock their latent people’s power and forge a popular peace. August 2011 – Ramadan is when Muslims fast and feast, but the holy month has something to offer those of other faiths, or none. Can peace be as simple as child’s play? August 2011 – Palestinian and Israeli children are victims of the conflict they have inherited. So can joint schools help them learn to live together? July 2011 – Both time and space are running out for the two-state solution. If Israelis wish to preserve the Jewish identity of their state, they need to act now to create a Palestinian state. July 2011 – Israelis and Arabs tend to believe that they share little in common. But in reality they are more alike than they like to admit. Which comes first: Palestine or the Palestinians? June 2011 – Rather than grant them statehood, Palestinian plans to go to the UN could backfire. Instead, come September, the Palestinians should formally hand over control of the Occupied Territories to Israel and demand full citizenship. June 2011 – Can Israelis and Palestinians learn something about building bridges between divided communities from the Egyptian revolution? June 2011 – Although it is called the ‘House of Peace’, Jerusalem’s reality is that of conflict and dwindling hope. But can this divided city ever live up to its name? June 2011 – Rather than an almost miraculous blessing, Israel’s six-day victory in 1967 has proven to be a naksa for Israelis and Arabs alike. May 2011 – Inspired by the Arab spring, a new generation of Palestinians plan to fight the occupation with olive branches. 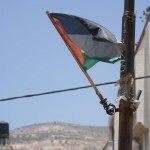 May 2011 – Palestinian reconciliation offers a golden opportunity for a peace deal. But reaching one requires Israelis, Palestinians and the international community to recognise some hard facts. February 2011 – The Egyptian revolution could usher in freedom to the Middle East, but Arabs and Israelis must break free of the chains of prejudice, history and fear. February 2011 – A democratic Egypt will not go to war with Israel, but for the cold peace to thaw, Israel must ends its occupation. November 2010 – Despite infringing on the author’s copyright and wishes, the unauthorised Hebrew translation of a bestselling Egyptian novel highlights how the word can help blunt the sword. September 2010 – Arabs and Israelis tend to view personal relationships that cross the divide between them with suspicion, perhaps because individual love has the power to undermine collective hate. Peace summit or the height of folly? August 2010 – Can an activists’ peace summit at the top of Mont Blanc help bridge the abyss of Israeli-Palestinian conflict? June 2010 – By calling Egyptians who marry Israelis traitors, Egypt has betrayed a group of vulnerable people who are guilty of little more than loving across enemy lines. May 2010 – Jordanian journalists believe they do not enjoy enough freedom – a malaise shared with the rest of the Middle East. But why? May 2010 – As Barack Obama seeks to tackle the proliferation of nuclear weapons, it is high time for Israel to dismantle its nuclear arsenal. March 2010 – The Camp David accords between Egypt and Israel remain controversial, but Arabs and Israelis can draw lessons from Anwar el-Sadat’s quest for peace. January 2010 – Israel is building a new anti-migrant barrier along its Egyptian border – leaving Mubarak’s regime with one problem fewer. October 2009 – To break the destructive deadlock between Fatah and Hamas, Mahmoud Abbas should step down as Palestinian president, call immediate elections and organise referenda on the future course of the Palestinian struggle. Middle East: a Belgian solution? October 2009 – Northern Ireland offers one model for Israeli-Palestinian peace. But a dose of Belgian pragmatism wouldn’t go amiss either. August 2009 – Instead of obsessing over how their identities clash, Israelis and Palestinians need to focus more attention on where they mesh. Who’s responsible for the Arab world’s mess? August 2009 – A UN report has reignited the controversy over who is to blame for the sorry state of the Arab world: Arabs or the West? June 2009 – One of Barack Obama’s winning campaign slogans was “change we can believe in”. And with his presidency, everything has changed and nothing has changed when it comes to US foreign policy towards the Israeli-Palestinian conflict. April 2009 – A new book lifts the veil off Israel’s Arab face and shows how, like the Palestinians, Middle Eastern Jews fell victim to political forces beyond their control. April 2009 – Although the Israeli-Palestinian media battlefield is bitter and deeply entrenched, journalists have a responsibility to venture into the no man’s land between the two sides, even if it means getting caught in the crossfire. February 2009 – As the dust settles on Gaza, is the best vision for the future of the Middle East a one, two or three-state solution? January 2009 – The economic rewards of peace are supposed to lure Israelis and Palestinians away from conflict. But what if war is its own reward? January 2009 – Rafah, a city divided between Gaza and Egypt, and between war and peace, prays for the opening of the border crossing. September 2008 – Belief in the sacredness of the holy land has long bedevilled the quest for peace. It’s time to challenge the ‘God veto’. September 2008 – With neither a two-state or bi-national solution imminent, Palestinians and their Israeli allies should attend to civil rights. August 2008 – Israeli voters should give their next leader a clear mandate to negotiate an equitable peace with Syria. August 2008 – A return to the negotiating table is encouraging, but Syria will have to make a daring gesture to win Israeli public sympathy. August 2008 – Israel’s weapons policy jeopardises the country’s own security and undermines efforts to create a nuclear-free Middle East.